The weekends in DC can be an interesting phenomenon. Once the work crowd leaves on Friday afternoon, downtown can seem tired and desolate without the weekday foodie crowd. I almost thought I saw that at Fiola on Saturday, then I realized I was there at an off hour. Once it was closer to dinner, couples and parties kept coming in. The restaurant is the a brain child of Fabio Trabocchi, who a few years ago worked the kitchen at Maestro in the Ritz Carlton Tyson. They’ve said it before and I’ll say it again. Welcome back to DC, Fabio. What does Fiola feel like? 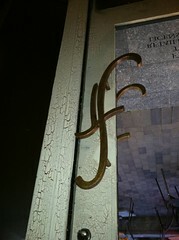 The restaurant is pricey and looks formal without being stuffy. 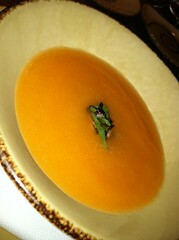 At first I found the gazpacho a bit too fruity for the palate with the Tuscan melon being perhaps a tad too much. On the third spoonful I was in love with then dish…though I’m not sure yet if that says something about me or about the appetizer – probably the former. 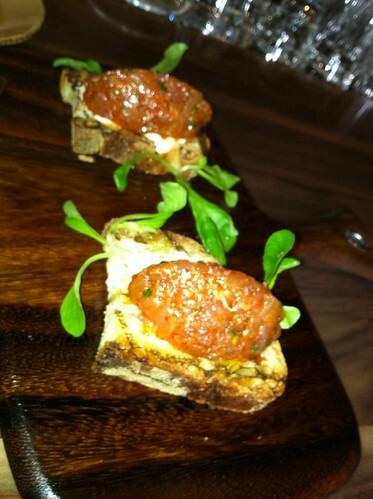 The bread you are given to start with is fantastic, as is the crostini of spicy ahi tuna. Giving into the tapas craze, this dish is a great one to share. Somehow the simple dish manages to look beautiful, with the greens really adding a nice extra touch. Service is great. At one point I overhead the hostess giving directions to a lone diner looking for someplace casual. Her suggestions? The sports bar across then street, Potbelly, or Luke’s Lobster…note to self. 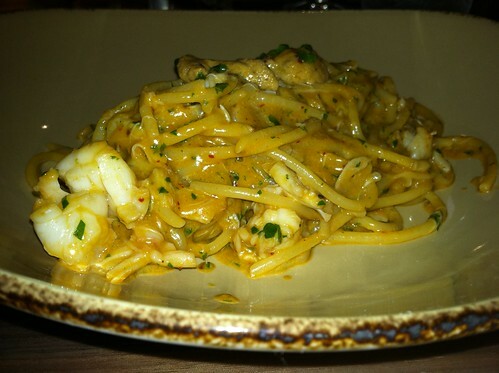 On the seafood side, the Spaghetti Mare with jumbo lump crab felt smothered in crab with the flavor being just too much. The pasta itself, however, was perfectly prepared. This one dish I would describe as good, but I expected amazing. The highlight? 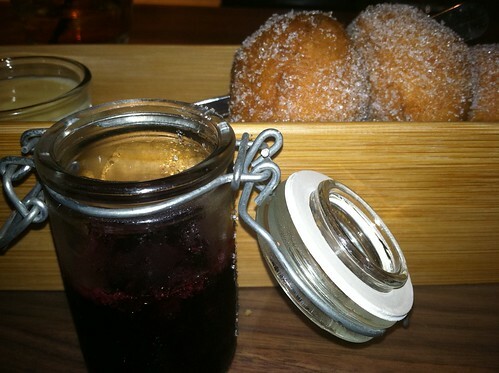 The donuts. I thought I had died. The end. All in all the restaurant is a winner, and it’s still brand new! That in itself is a huge feat as I didn’t really notice any kinks, though I was definitely looking for them. Seriously, check out the reviews on Yelp and Open Table - I’ve never seen such positive reviews on a new restaurant…well, except Luke’s Lobster if that counts. Congratulations chef Fabio and Maria. Welcome back to DC! 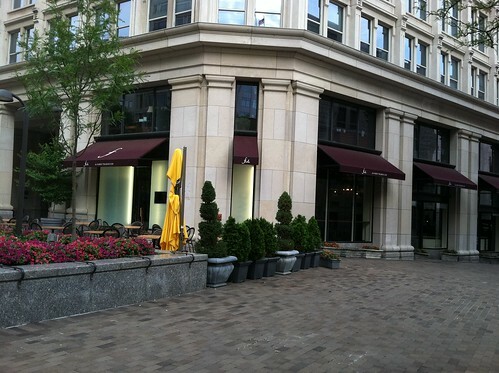 Fiola is located at 601 Pennsylvania Ave NW. The closest metro station is Archives-Navy Memorial-Penn Quarter (Green/Yellow Lines). For more information, call (202) 628-2888. Though I forgot to say, the rest of the review is spot on. We have yet to try something we do not like. Even the panzanella (bread salad) was phenomenal.